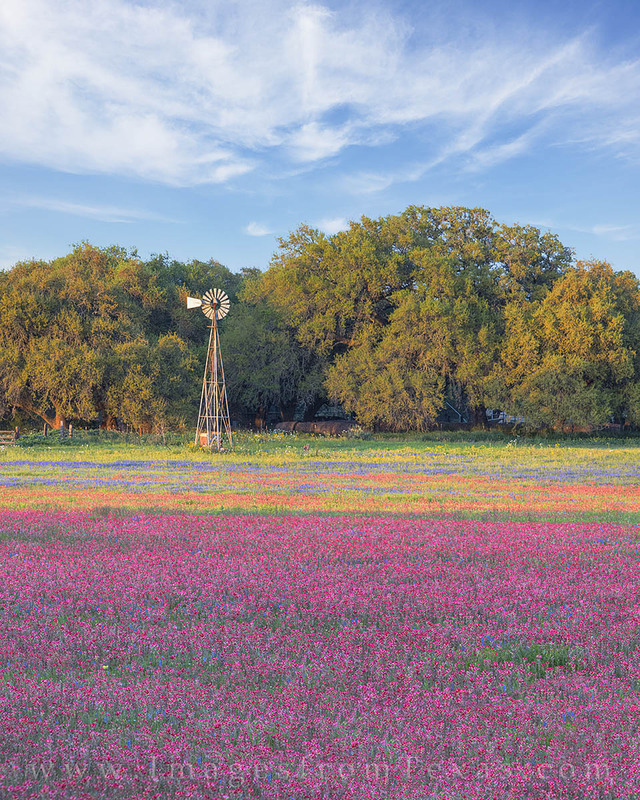 Along a quiet dirt road near San Antonio, Texas, wildflowers paint a field red, gold, and blue in the springtime. This image was taken on Easter on a perfect evening. Photo © copyright by Rob Greebon.